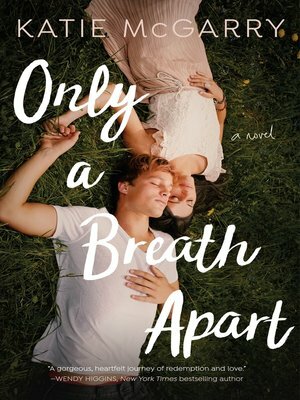 Bestselling author Katie McGarry's trademark wrong-side-of-the-tracks romance is given a new twist in the gritty YA contemporary novel, Only a Breath Apart. The only curse Jesse Lachlin believes in is his grandmother's will: in order to inherit his family farm he must win the approval of his childhood best friend, the girl he froze out his freshman year. A fortuneteller tells Scarlett she's psychic, but what is real is Scarlett's father's controlling attitude and the dark secrets at home. She may be able to escape, but only if she can rely on the one boy who broke her heart.